Two-time American TA2 Champion and Pirelli World Challenge driver Gar Robinson has arrived in Australia ahead of next weekend’s Bathurst 12 Hour. The Texan ventured out to Queensland Raceway on Australia Day for a pre-event shakedown of the 74 Ranch Resort Camaro which he will compete within a 13-car TA2 contingent in the Skye Sands Combined Sedans support races at Mount Panorama. “I love coming down here to race with the Australian TA2 series. It was so much fun last year and I was the first to put my hand up to come back again,” said Robinson. 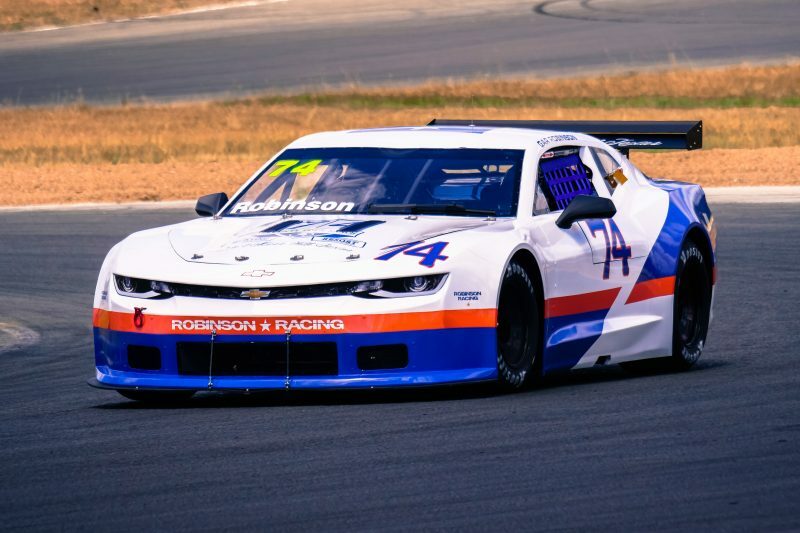 Robinson unveiled the tribute livery which he will campaign at Bathurst, paying homage to the livery used by his father George Robinson’s Trans-Am Camaro of the early 1990s. “With IMSA’s 50th anniversary this year and all the throwback liveries revealed in the US, we decided we’d do our own throwback to our original Trans-Am colours of 30 years ago. On his Bathurst debut, Robinson scored second outright and first in the TA2 class in the 55-strong Combined Sedans field in 2018, and hopes to go one better on his return to what immediately became his favourite race track in the world. “I didn’t want it [Mount Panorama] to be my favourite track because it’s so far away, but it went to the top of my list straight away. The Skye Sands Combined Sedans field is set for practice, qualifying and race 1 on Thursday, followed by a race each on Friday and Saturday, with Saturday’s action live streamed at www.bathurst12hour.com.au.